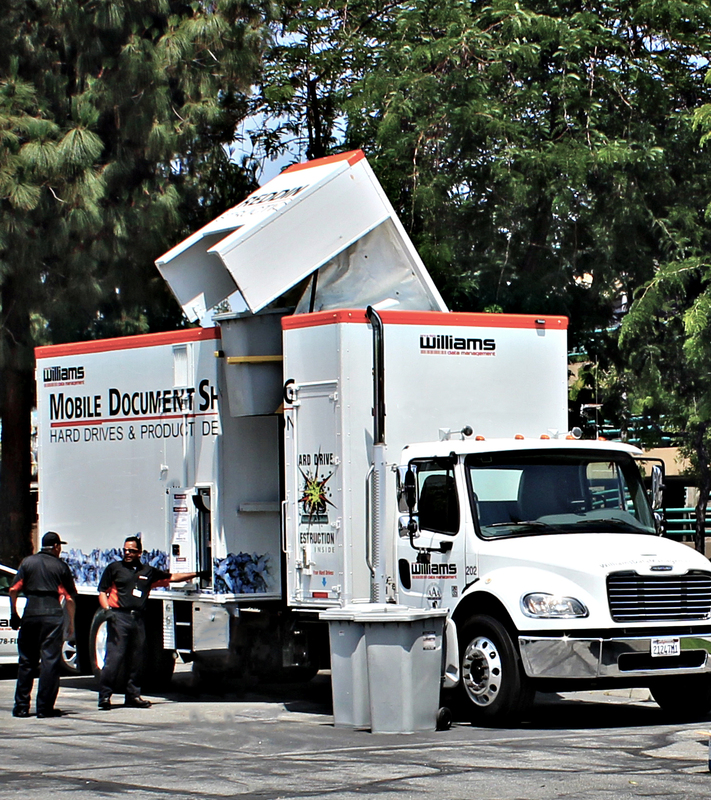 Protect your organization’s sensitive data and stay compliant with our mobile document shredding services. How it works is simple: We provide lockable security bins or consoles that can be kept in your office. When it’s time to destroy your files, we’ll come to you and a Williams uniformed, trained, bonded, and insured shredding specialist will empty the contents into a secure bin to be shredded by our NAID® certified mobile shredding truck. A certificate of destruction is provided afterwards, and the whole process is secure, compliant, and cost-effective. With our mobile document shredding solutions, you’ll be 100% in compliance with HIPAA, HITECH, SOX, GLBA, and other federal guidelines and regulations protecting identity and confidentiality. 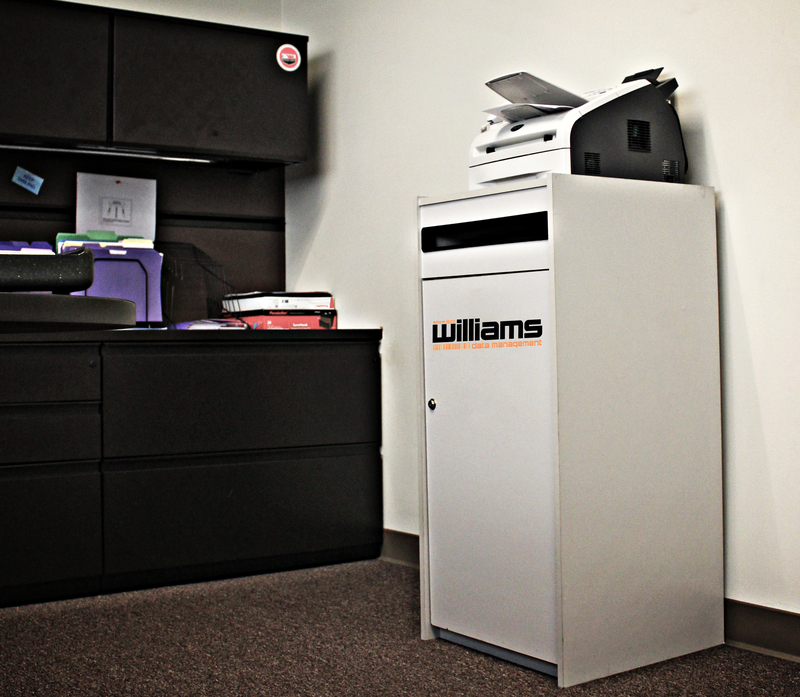 Whether your business shreds once a year or monthly Williams can handle document destruction of all sizes. Read More about how getting on a Recurring Shred Schedule can benefit your business.